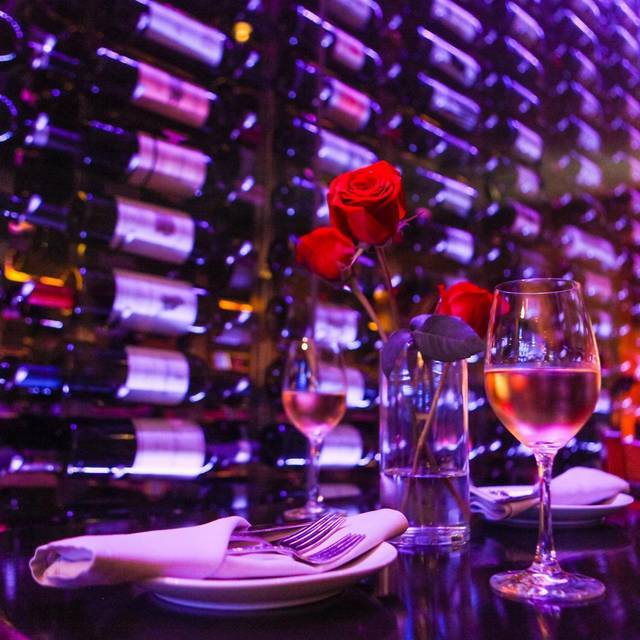 #WineWednesday at Next Bistro is held each Wednesday and features a selection of different wines, typically available only by the bottle, on a by-the-glass basis at very attractive pricing to allow our guests to experience new and different wines without the need to commit to a full bottle. Next hosts wine and Scotch dinners throughout the year. We offer full-service catering through Next Bistro Catering for events of all sizes, styles and desires. We work with our clients to create a specific menu uniquely suited for your event, and we can also arrange for all service and rentals. Our private dining center with seating for up to 70 guests provides a perfect area for a rehearsal dinner, wine-tasting, art show or special event of your choosing. Our staff will work with you to make your event flow smoothly and be a memorable time for you and your guests. Next Bistro is a casually elegant restaurant to enjoy chef-inspired, house-made specialties with a focus on fresh seafood, C.A.B. steaks and house-made desserts. 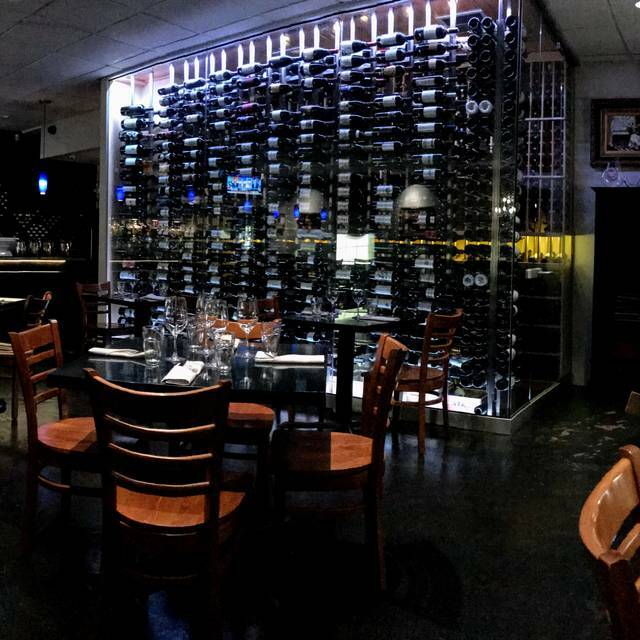 Guests at Next Bistro can choose from our Wine Spectator Best of Award winning 700+ bottle wine selection and our full bar featuring 125 single malt and blended Scotches and full range of other liquors. Join us for Easter Sunday Brunch at Next Bistro. 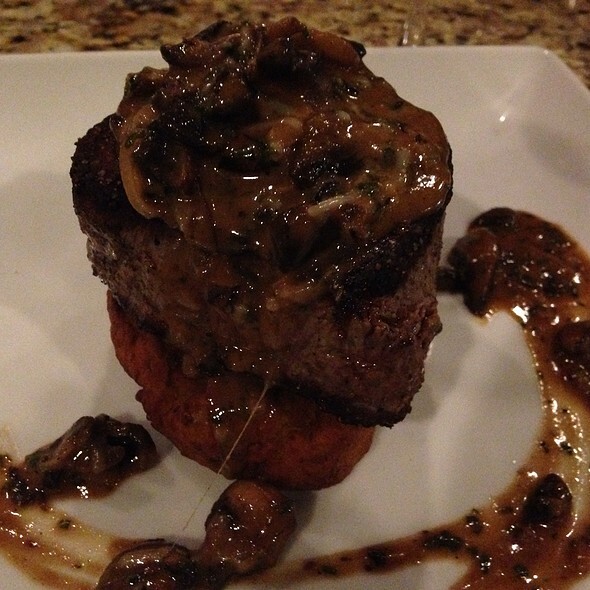 We will offer a special, 3-course, prix-fixe menu for $39.95 per person plus tax plus gratuity. Our regular a la carte menu will not be available on Easter Sunday. We will be open from 11:00am-3:00pm. Fantastic wine list, excellent menu with all food groups covered, service second to none. 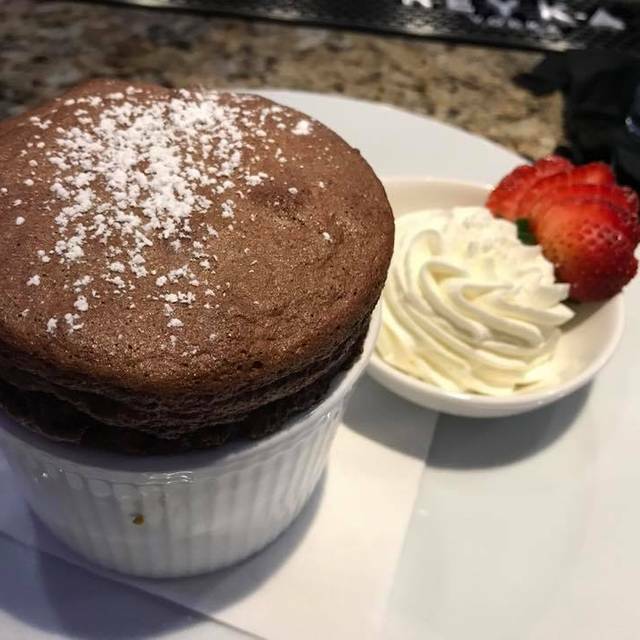 Top it of with one of their famous soufflés and you have a magical dinner. Highly recommended for foodies. A little gem in Colleyville. Popped in for a little variety in a dinner location and we were pleasantly surprised! 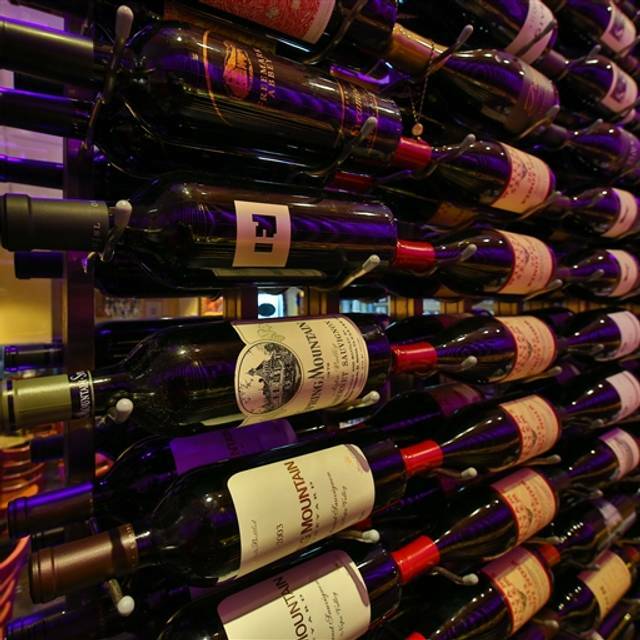 Great wine selection and menu options. White table cloth service without a stuffy atmosphere. Will definitely return. My Husband and I went to Next Bistro on a Saturday evening. It was a delightful experience! Wine selection is unbelievable! Staff very attentive to our needs . Food is delicious! We will be back! Service is incredible, the ambiance is great, the food though.. gosh dang the food is good. The pork chop is incredible. The beef tenderloin egg rolls amazing, but the best thing was the bread, it was like a warm cloud in your mouth. Can’t wait to be back. Participated in a charity event Dine to Donate and the menu was great! We both had the pasta and shrimp dish, perfectly seasoned. Service was great. Love that they particpate in local charity events and that they are independently owned. Will be back. Great date night. The entrees are unique and delicious. The wine list is extensive. Will be returning in the near future. Thanks for the great service! Loved it! The ambience was so wonderful. We just happened to need a seafood restaurant but now we will go back for all the rest of the menu items. Highly recommend it for date night. Very nice restaurant. Wine selection is top notch. Great menu selections. Sides and salads are very good. Atmosphere rates a 10. Staff takes care of you. Amazing wine list and terrific menu. 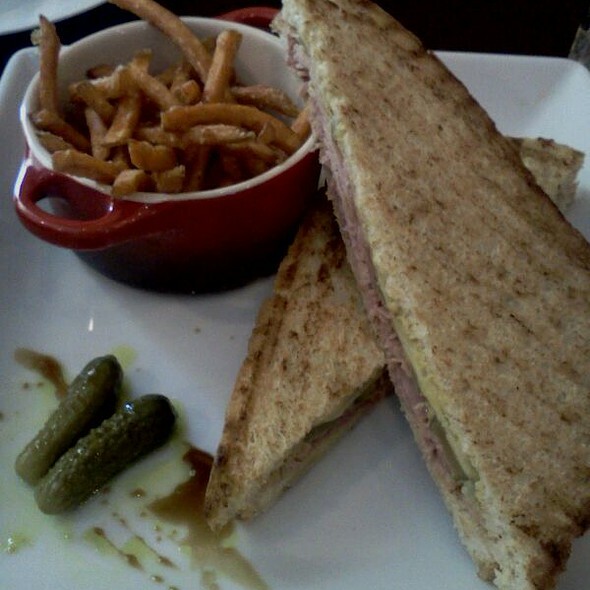 We have been to Next Bistro several times. We have NEVER had a bad experience there. Don’t be fooled by the exterior of the building (small and looks like a fast food restaurant which the building once was), this is a definite five-star dining experience. Whether for a date, business meal, or special occasion, this restaurant and staff can make you feel at ease and has a pleasurable evening. Fantastic as usual. 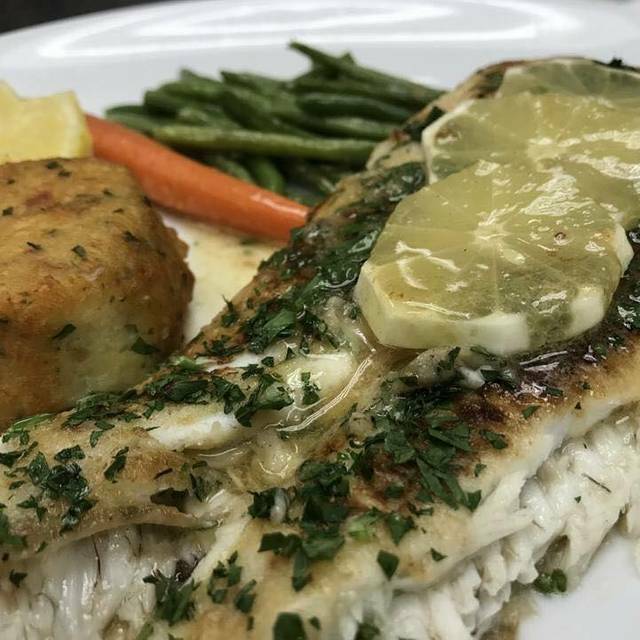 service is top-notch and food is always fresh. Highly recommended. We have always had very good food and service here. The service and food was incredible! Such a great find. Will definitely return..
We were seated immediately at a delightful table for two next to a glass display of some very impressive wines. Our waiter was very knowledgeable and responsive to our needs. The best part was the incredible food. We started with a cream of wild mushroom soup, followed by a bison filet for my husband and sole-wrapped crab for me. We finished our meal with the bread pudding, which was divine. We will be returning soon! Our group if 5 had a delightful meal. We all had something different, and all thought it was excellent. Our server was great as well. Next is one of our very favorite spots. Outstanding food and service, and the wine list is amazing. Next also provides many options for other alcohol (e.g., scotch) if a member of your dinner party isn’t a wine drinker. Took my wife here for Valentine’s weekend dinner. Nice ambience for a date. Food was good, quality was good, would recommend. Great service and great food - nothing else to say. Good food and good service. One of my favs. Would recommend for a special night out. Amazing restaurant, I was not able to take out my beautiful wife out for dinner on Valentines days. I made reservations for Feb 15th at Next Bistro. The evening was wonderful. It was an amazing experience with the most delicious food! We will definitely come back! Great wine list and super service. The restaurant had several specials and a great menu. This is really a review of the restaurant's Valentine's Day event. They charged $140 per couple for a fixed menu with 3 courses - appetizer/salad, entree and dessert. First, they did not plan well for the event and created no ambiance for the occasion. Tables were set with cheap linen, no flowers or decoration of any kind other than a candle. Those delivering the food to the tables had no training in food delivery at high-end restaurants - they practically threw the plates onto the table. The server was very good - he monitored the drink levels appropriately and spaced out the courses such that we never felt rushed. The food was just so-so, not really anywhere close to the quality levels that this restaurant normally achieves on non-event days. This is the second time we've tried Next for V-day dinners and their ability to perform at these events has gone from average to mediocre in those 4 years. This is a special place we go to on special occasions. We are always happy with the experience. We arrived about 20 minutes early for our set price Valentine Day reservation, but they were able to accommodate us immediately! The ambiance was uptown smooth. When seated, out waiter arrived immediately and took drink orders and presented us with the special menu for the evening. The menu had 4 starter choices, 5 entre choices and two desert choices. It was really nice not to see any chicken on the menu! The Lobster Bisk was nice, but Piada's is better and actually has chunks of lobster. Next's did not. My wife had the Sole Wrapped Crab and it was excellent. I had Lobster Risotto. The Risotto was not quite completely cooked, but the Lobster more than made up for that. For desert, she had Crème Brule which was excellent, and I had the Chocolate Soufflé, which was outstanding! Noise we low, but the proximity of the tables made private conversation impossible. Overall, we enjoyed the night and will return to try the main menu. Francios is the best waiter. food is always great!! From the moment we sat down, the evening was wonderful. Attentive service, amazing menu, and the dessert was beyond delicious. I strongly suggest the Devil’s River Whiskey Cake with a small glass of Glenlivet Guardian. It was a perfect end to a fabulous dinner. The service was extremely slow, the steaks were cold, the server was rude and the chef left before we got our entrees. We will not return. 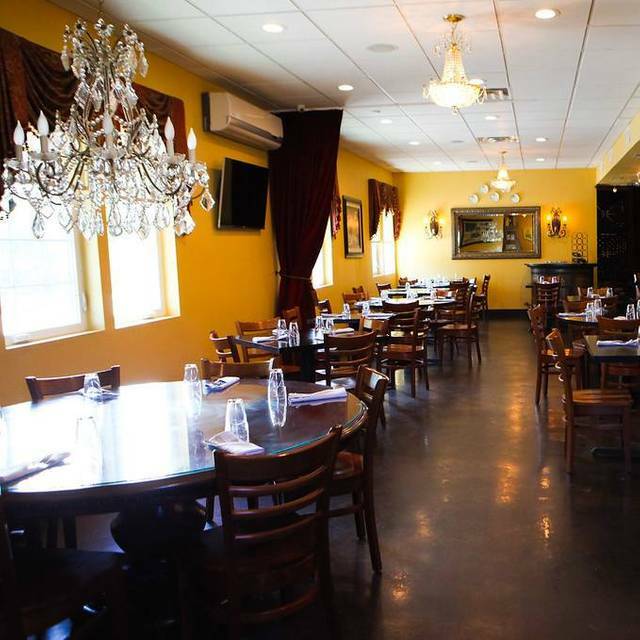 Next is a wonderful place located in Colleyville. Great atmosphere and wonderful and wine. This is a perfect place for lunch or dinner and for any occasion. The food is delicious and so interesting. This is a great place for business luncheons also. Don't miss the bar and wine list! 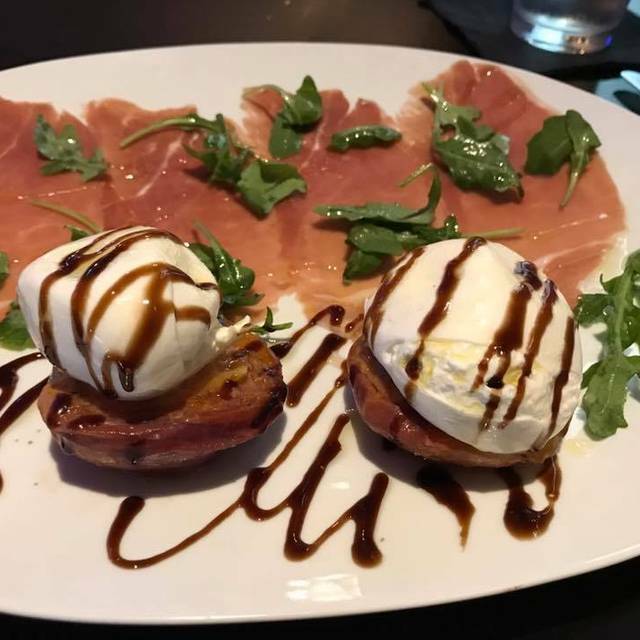 We have dined at Next Bistro several times. On this occasion we were not that pleased. Service got off to a bad start when a simple question about wine resulted in a 15 minute delay while when we were told that "Tom would have to help us with that" but Tom never came to talk with us nor did anyone return to our table during that 15-minute period in which felt invisible. We were left with open menus, an open wine list, and water. Fortunately, the conversation among four good friends filled the time. When our waiter did reappear, I simply made my selection from the wine list with zero input or assistance from anyone. The mysterious "Tom" never materialized. Our party selected the soup du hour and two different salads which did not disappoint. Entrees however, were not really exciting in any way. We selected from the "chef's menu" on the last page of the menu. The risotto dishes (one lobster, two with tiger prawns) were creamy and comforting but uninspired and somewhat bland. The fish wrapped around crab cakes was similarly lacking in excitement with a monotonous consistency and lack of flair or flavors beyond the basic. Service was adequate after the initial bizarre 15 minutes in the twilight zone, but added nothing to the experience of the evening beyond accurate order taking and delivery of plates. The wine list is large and diverse and the choice we made somewhat blindly turned to be enjoyed by the two members of our party who chose to imbibe. Desserts of creme brulee and bread pudding were tasty but again, uninspired. A decaf cappuccino may have actually been cafeinnated as the party ordering it was wide awake for several hours after the meal, but of this we cannot be certain. Overall we felt this experience was a disappointment compared to previous visits. I am new to the neighborhood and loved finding this gem! Everything we ate was wonderful! A bit pricey but absolutely delicious. I was greeted and seated by one server then passed onto another server. So I was a bit confused as to who my server was. My original server ended up taking care of his regulars which I observed due to their comfortable, familiar conversation. The food was well seasoned with beautiful presentation. Wonderful elk as usual! Outstanding escarrgot as well, especially with the mushrooms in your special sauce! Scallops and shrimp ae also outstanding. Great wine and service as well! This place is definitely a neighborhood gem! We've been many times and it never disappoints us. I would consider my wife and I to be expert diners and since we live right in the middle of the metroplex we dine in dallas, greenvile ave, deep elum, downtown Fort Worth, bishop arts district, so on and so forth. We regularly like to come to this place because it works for "events" and it works for just a relaxing night out. They have an extensive wine list and have yet to have a bad meal or dish....and we've tried most of them :). If you're anywhere near colleyville and want a great place to eat please go here. You can dress up or go casual. You won't be out of place either way.